The Wellness Family of products is designed to support the immune system when under physical stress. 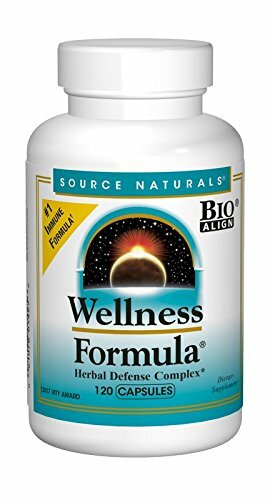 The Wellness Formula contains a powerful combination of herbs, antioxidants, vitamins and minerals formulated to boost your well-being. Begin taking Wellness Formula capsules at the very first signs of imbalances in your well-being in order to maximuze the benefits, then continue to take daily to add into your health regiment. Unlike other brands single-action formulas, the ingredients in Wellness Formula work deeply at the cellular level to provide support for the multiple, interdependent body systems that impact immune health. This comprehensive formula provides ingredients such as zinc, astragalus, echinacea, garlic, calcium, vitamins A (Beta-carotene), C(Ascorbic Acid) & D-3(cholecalciferol) and much more for healthy stress response, a strong respiratory system and immune combating antioxidants. Wellness Formula addresses the root causes of winter season challenges with over 30 powerful immunity targeted ingredients, including antioxidants, herbal extracts, vitamins and minerals. Anti-Fatigue Properties which will promote feeling fully energized and give a complementary boost to a well working immune system and airborne health.